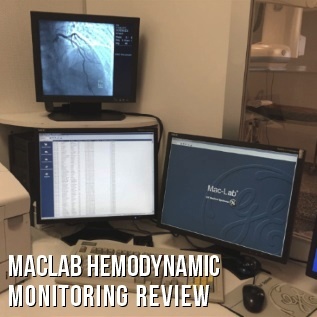 We often get asked the question, “What is the most popular hemodynamic monitoring unit you sell?” The answer is easy: the GE MacLab. Over and over, buyers choose to pair their cath and angio labs with the MacLab for their monitoring needs and our service engineers and partners in the field praise the experiences they have with them. There are a number of reasons why this is the case, and in the next few paragraphs we'll share them with you. 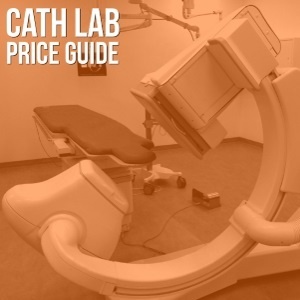 When people begin searching for a cath lab system, one of the first things they tend to notice is that there are TONS of options! Single plane or bi-plane? Which detector size? Want to add a hemodynamic monitoring system to that? How about an injector? The list of possible configurations goes on and on. 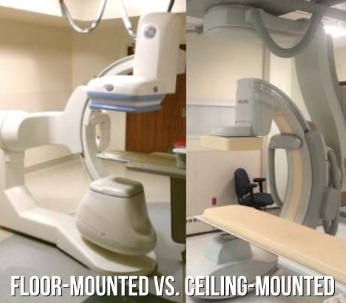 Most folks are able to arrive at relatively quick decisions on many cath lab options, but we often see some confusion when it comes to choosing floor mounting or ceiling mounting. Both types require a facility to install a ceiling structure, so does it really matter how the lab is mounted? Absolutely! And in more ways than one. To show you what we mean, we'll break down the differences that might inform your choice of either a floor-mounted or ceiling-mounted cath lab system. For comparison's sake, we'll use the GE Innova 3100 IQ (floor-mounted) and Philips Allura XPER FD20 (ceiling-mounted) as examples. If your facility uses a Siemens cath/angio lab like the Axiom Artis, the Multistar, or the Angiostar, you've got a Megalix X-ray tube. As with any X-ray tube, the Megalix will require replacement from time to time. When you start to shop around for your replacement, you're likely to come across a variety of product descriptions for the types of Megalix tubes in circulation. These descriptions are made up of numbers and abbreviations that might not make a whole lot of sense at first. We've broken down what they mean so that you can be more informed as you make your next major component purchase. Need a Megalix tube now? Click here to quickly submit a request! When your cath lab deliberations lead you to consider the GE Innova product line, one of the specifications you'll encounter as you sift through the options to arrive at your final configuration is patient table type. 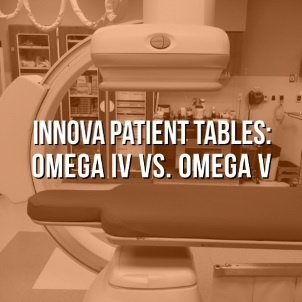 With the Innovas, there are two main table varities, the GE Omega IV and the GE Omega V, and the option to upgrade to a third variety, the GE Elegance table. Below, we'll share with you the differences between the GE Omega IV, Omega V, and Elegance Innova cath lab tables as well as which Innova models you'll typically find each of them paired with.